Lesson Summary: Students will explore tessellation designs and find meaning in their application for creating a work of art. Students will learn what a tessellation design is. 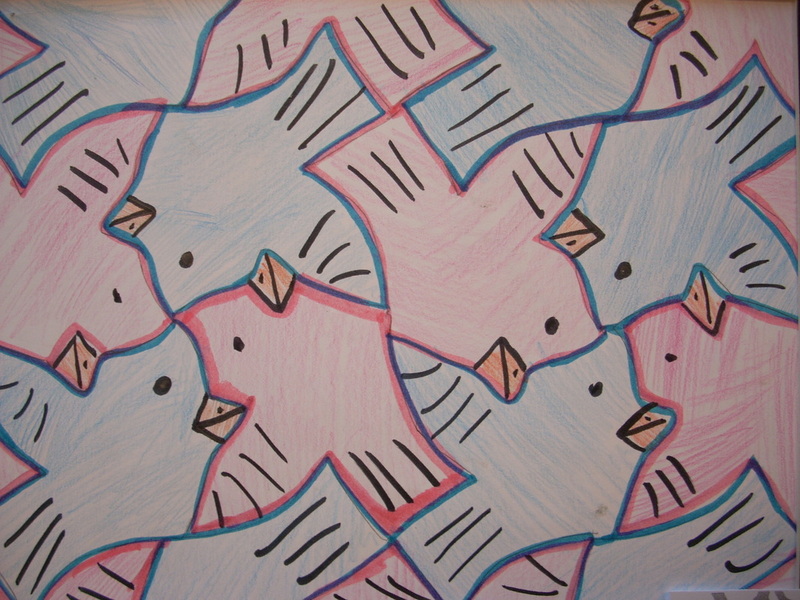 Students will learn how to repeat patterns in making a tessellation design. Students will about the artist MC Escher. Students will be able to identify, compare, and contrast the elements and principles in two or more art works. Distribute 12”X 8” sheet of paper. Use a 5” x 3” note card and cut in half. Make a stencil shape repeat the shape to make a pattern. Make the design large to fit the parameters of the paper making sure that it’s a symmetrical design.